Perfect for corporate business of any size and purpose, creative agency with fancy ideas, including fully featured WooCommerce fashion store ready to go, your website will spring to life within minutes. 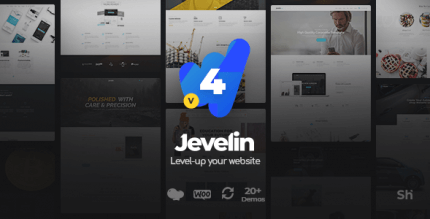 This theme also covers the needs of freelancer, photographer, architect & digital artist, offering amazing portfolio features with dedicated designs to suit individual needs. As experienced blogger seeking for unusual blog layouts that help to stand out, you will be inspired by TheGem’s blog features. It doesnt work, when I try to install required plugins it says purchase code verification failed. You can find all neccessary plugins and demo data in archive that you download. Install plugins manually via FTP or hosting file manager. I am having this very same issue. When I requested and then Downloaded this theme from you. It did not and does not allow a full install without the verification code. Could you please provide ALL necessary plugins AND TEMPLATES so that this theme can work correctly. Also, since I’ve already downloaded this theme from you, Do I have to use ANOTHER 10 points to download the corrected package? Thank You. Hello, we added all necessary plugins and demo data to the archive! The 2.1 upgrade is out and it fixes a lot of problem i’m having, can it be release! Hi, which version is the demo data included? I bought the previous version of the Theme in September but the demo data gave me lots of errors. The demo was dated from May and it have been a lot of changes and new demos since then. Hello, we provide nulled version of TheGEM import plugin. Demo data will be the same that provided by developers. hi, how null this theme ? 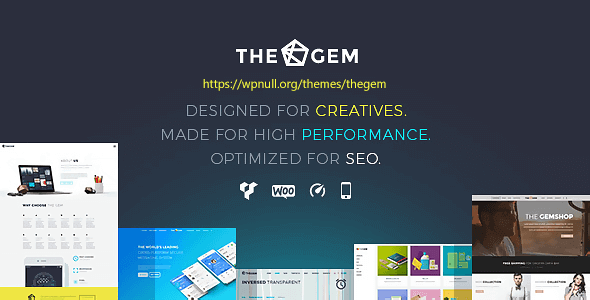 Your current activated theme in not TheGem main parent theme. Please note, that this import works only with TheGem main parent theme. Please activate TheGem main parent theme before proceeding with import. Hello, you should manully install TheGem Import plugin from plugins folder (nulled version) for use demo import without activation. We have updated TheGem Import plugin with version 3.0.5. Now everything importing well. Hey, i bought this theme before, and now it updated the new version. Can I get it free? Unfortunately not. We do not provides free updates. TheGem is definitely an impressive theme, demos were designed with terrific attention to detail and according to the latest web design trends. Would highly recommend! HI there is no gem import plugin. Hi, in the plugins folder, doesn’t exist gem import plugin. Hey! I bought this theme from another vendor last month but demo data gave me loads of errors and problem. I’m hoping with yours, I wont encounter such problem and this particular file is clean from malwares. 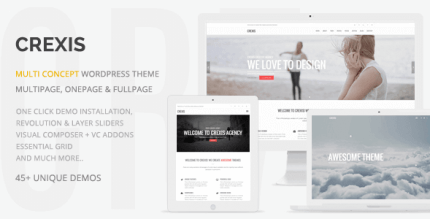 Hello, yes, we provide full working theme and absolutely clean files. Look at demo-data.txt file inside package and read carefuly instruction how to install demo data. I purchased the most updated version on your site and of release, however the main plugin package is dated 3.3.1, it even says it’s outdated on the plugin admin section (current version is 3.4). Can you provide me with the proper plugin? hello, the most important function does not work. It takes a code envato, thegem import does not work, I took it on the downloadable file in pluggins yet in manual via ftp … It’s really important for me to have “TheGem Import” otherwise the theme is useless in my case. Can you help me ? Read carefuly demo data import instruction inside package, you don’t need to use TheGem Import plugin. Hello, I do not see any instructions. There is no import file for demos …. Read “demo-data.txt” file inside package. Hello, I uploaded demo with the instructions in “demo-data.txt”, but when I enter TheGem Import plugin, it says “Your current activated theme in not TheGem main parent theme. Please note, that this import works only with TheGem main parent theme. Please activate TheGem main parent theme before proceeding with import.” What should I do ? Demo data already installed, you don’t need to use TheGem import plugin. Go to “Pages” menu and choose one of page, then go to “Settings > Reading” and select choosed page as website homepage. Thats is Good Theme well. Done! Hi, do you recommend buying this theme? You have not had any and have all the demos?